RAPID by ACOM Health, the complete clinical and business management solution developed by and for chiropractors, is designed specifically for the unique needs of physician providers and built to enable their practice success. From patient onboarding and clinical documentation to billing and collection services, ACOM Health provides a complete solution for today's chiropractic office. For doctors, running a healthcare operation can be complicated and difficult. RAPID by ACOM Health gives chiropractors a solution that fits every part of their practice — from documentation and charting to scheduling and revenue cycle management. They take care of your business while you spend more time taking care of your patients. Practice managers can manage appointments, claims, patient information and other practice needs simultaneously while taking control of their workflow. RAPID contains a fully-featured EHR that seamlessly connects with practice management, and billing and collections management. RAPID is a smarter solution for billing professionals to simplify paperwork and reduce denials with faster revenue cycles. This means you can streamline your entire practice with less insurance adjustments and write-offs. Whether you manage billing in-house or have their team of experts as an extension of your staff, ACOM Health makes the billing cycle and your job a whole lot easier. Herb Pharm has introduced Dragon's Blood tree resin. Also known as Sangre de Drago or Sangre de Grado, this viscous red tree sap is often found in South American medicine cabinets and is used to treat gastro-intestinal disorders and for general wound healing. Herb Pharm's Dragon's Blood is harvested from Croton lechleri — a rapidly growing tree found in the rainforests of Peru. The sap is a rich, complex source of phytochemicals. Internally, Dragon's Blood is a traditional folk remedy for ulcers and diarrhea. Used externally, Dragon's Blood is renowned for its wound healing capability and is commonly applied as a liquid bandage to both accelerate the healing of open wounds and to protect damaged skin from microbial infection. The indigenous Peruvian wildcrafters of Herb Pharm's Dragon's Blood promote the conservation of the Croton trees from which the red sap is harvested. To ensure both environmental health and continued harvests into the future, the harvesters are planting Dragon's Blood saplings back into the wild. Fortunately, this extremely fast growing tree can achieve growth rates of up to 12 feet per year. Practitioners know, and research studies show, that patients can recover up to 70% faster by interacting directly with one of the main control mechanisms of the human body: neural responses. Evidence-based trials show that, with the right stimuli, the human body is able to allocate more internal healing resources to speed up recovery from chronic pain, chronic diseases and acute injuries. The SCENAR pain management device from Pacific Health Options represents a major breakthrough in non-invasive health care. Through what is called “Neurofeedback,” information is gathered from an area of the body which has been either traumatized or where control and identity has been lost. Information about these areas is fed to the brain and the brain responds back through the SCENAR. This device, being both a transmitter and a receiver, feeds the information back to the brain in an endless loop, constantly changing its frequency. This electronic signaling does not allow the brain to go into its usual habituation mode, as seen with other electronic stimulation devices. Neurological studies indicate that the brain will go into a major frenzy of activity at this point not knowing if the information that it is receiving is vital to its survival. This is achieved via the skin’s “C” fibre network which is one of the most important communication systems the body has for adapting to our perceived environment. During the development of RITM SCENAR technology in the 1980s, application protocols were developed, thoroughly tested, and improved. These protocols are easy to learn and easy to apply. Specific protocols are available in SCENAR’s training programs to make practitioners successful in facilitating faster recovery from chronic pain. Software Motif, a leading provider of cloud computing services for chiropractic and multi-disciplinary practices, has released its latest MyEMR random text generation engine for extremity adjustments along with its newly designed drag and drop text editor controls. 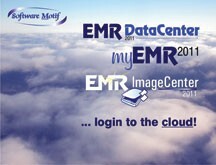 For its MyEMR electronic healthcare records software, this finalizes Software Motif's merger of its highly acclaimed Microsoft Pocket PC feature capabilities in favor of real-time wireless Tablet PC, iPAD and Android tablet connectivity to its cloud computing platforms. "We now live in a post-PC computing world and depend on connectivity with the flurry of new computing device platforms, not limited to legacy desktop PC's and notebook computers," says James Carlburg, Senior Software Engineer for Software Motif. "Our 24 by 7 by 365 high-availability cloud computing platforms are ideally suited for multi-site live connectivity using secure encryption and security in excess of HIPAA and financial institutional requirements." Software Motif provides seamlessly integrated patient billing, scheduling, document scanning and clinical documentation software focused on chiropractic healthcare for front to back office productivity. Developed by a certified athletic trainer to treat elite athletes, the Swede-O Plantar F3™ Foot Roller can help relieve your patients' foot pain in 3 ways: stretching, cold therapy, and heat therapy. Patients can simply roll the foot roller under their feet to gently stretch and massage the affected area, while the freezer-safe foot roller provides cold therapy to help relieve pain and reduce inflammation. Additionally, the roller may be used for heat therapy to help increase elasticity of plantar fascia tissue and facilitate healing. The Plantar F3 is beneficial in the treatment of plantar fasciitis, tendonitis, heel spurs and heel pain. Its patented design enables isolating the plantar fascia for optimal stretching and treatment. Rolling their feet on the Plantar F3 will stretch and begin to heal your patients' plantar fascia so that they can resume walking without pain. Using the Plantar F3 helps remodel the plantar fascia scar tissue into stronger, more functional bands to facilitate healing; the hot therapy helps increase blood flow, warming newly-formed scar tissue and accelerating healing; and the cold therapy helps relieve pain and reduce inflammation. Three distinct contact surfaces provide stretch for any size and shape of foot, the Sorbothane® material is comfortable against the skin, and it is antimicrobial. Also, the Plantar F3 is portable, making it versatile for home, work or travel use. Topricin® Pain Relief and Healing Cream is patented for treating the pain associated with neuropathy. Unlike other treatments that simply mask pain, Topricin's new technology actually helps to heal the damage that is causing pain. Formulated with a combination of 11 natural biomedicines, it offers safe, effective treatment of chiropractic patients' impact and trauma injuries, repetitive motion injuries, compression neuropathies, and other pain issues. 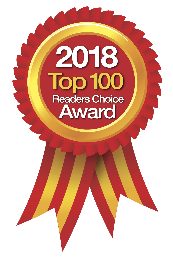 Topricin is the flagship product of Topical BioMedics, Inc. of Rhinebeck, NY, a research and development leader in topical regulated natural biomedicines for pain relief. Founded in 1994, the company's mission is to bridge the conventional and complementary medical communities by offering safe and effective new healing technologies. The Topricin family of patented homeopathic biomedicines formulas also includes award-winning Topricin Foot Therapy cream that targets foot and ankle pain, and pediatrician-recommended Topricin Junior specially formulated for children. 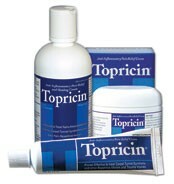 All Topricin pain relief and healing cream products are safe for diabetics, pregnant and nursing women, and children. They are free of grease, odor, parabens, petroleum and other harsh chemicals, and have no known side effects. Topricin products are formulated with approved medicines as found in the HPUS (Homeopathic Pharmacopoeia of the United States) and are FDA-compliant for homeopathic over-the-counter medicines. They do not interfere with any other medications. Vertix LITE, the new, bare-bones version of the award-winning Vertix Practice Management system, offers all of the same core functionality at a reduced price. In addition, this LITE version offers simple insurance and contract-based billing. 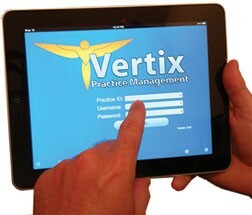 Also, Credit Card Processing has been added to both Vertix Practice Management and Vertix LITE. Work SmartWare (WSW) is helping to pioneer the future of practice management. Vertix Practice Management and Vertix LITE are cutting-edge software that can dynamically run on a PC, Mac, and Android as well as an iPhone or iPad. There is nothing to install and it is virtually trouble-free; you do not have to upgrade your current computers or network to use it. Vertixï¿½s features include EHR, SOAP Notes, Scheduling, Electronic Insurance Submission, and many more. Custom built for chiropractic professionals and their staff, the intuitive design allows for quick implementation and improved workflow efficiencies. Typical software often requires many hours of specialized training in order for your staff to perform routine functions, costing you time and money. The Vertix solutions give you back this time, allowing you and your staff to concentrate on more productive tasks. Vertix systems are 100% in the Cloud, and faster from the Cloud than a number of other systems currently available. Whether in the office or off-site you can easily access all of your practice data, from anywhere at any time, and you can text your patients from directly within the software. Since 2008, Young Innovations has been helping to alleviate neck pain and headaches with their patented invention, the enVy® Pillow. Two registered nurses, with their combined experience and interest in anti-ageing medicine and preventative healthcare, designed the enVy Pillow. Their goal was to create a therapeutic pillow which would promote wellness (spinal alignment) and a youthful appearance (minimizing sleep lines and facial deflation) while optimizing sleep quality. EnVy Pillow’s ergonomic design helps ameliorate the results of anti-aging treatments and post surgical healing, and helps prevent the onset of sleep-induced wrinkles. This Chiropractic-endorsed pillow provides the correct head, neck and spinal support for optimal alignment. Proper neck positioning is not only essential for spinal health but is also crucial in maintaining an open airway during sleep, facilitating easier breathing and resulting in a deeper, more restorative sleep. Young Innovations has raised the bar even higher by ensuring the pillow is antimicrobial and dust-mite resistant. The custom-fitted pillowcase is made from 100% bamboo, an ultra smooth and luxurious fiber which enhances the sleep experience, and is also gentle on delicate facial tissue. However, according to the company, the feature that users may appreciate most is how easily the pillow can be rolled up for travel. EnVy pillow is available from select chiropractors, wellness providers, plastic surgeons, and dermatologists throughout North America. It retails for $199.00 Canadian. Visit online or email info@envypillow.com to learn more.